He was admitted as a Solicitor in October 1986 having graduated at Bristol University and completing his articles in Bournemouth. Simon has specialised in Criminal Law since being admitted as a Solicitor, initially working in Portsmouth and Bridport for a period of five years before moving to Weymouth. He has practised in Weymouth ever since, both on his own account and in partnership with Nantes before opening Simon Lacey Law Associates in May 2003. He is a committed and experienced Criminal Solicitor. He is an able advocate and dedicated to both his work and his clients and deals with all aspects of the criminal process. Karen O'Brien qualified as a Fellow of the Institute of Legal Executives in 2003 and as a Police Station Accredited representative in December 2000. She has lived in Weymouth for most of her life and joined Simon Lacey in 1995. Karen is also a Chartered Legal Executive Advocate. Karen runs the Crown Court department and also represents clients at the Police Station. Cheryl Cole is a Solicitor and Head of the Family Law Department at Simon Lacey Law Associates. Her career spans over 25 years in private practice in Weymouth and Dorchester. Cheryl has been recognised as an expert in her field and qualified as an Advanced Member of the Law Society’s Family Law Panel in 2002. Cheryl became accredited to the Law Society’s Children Panel in December 2017. 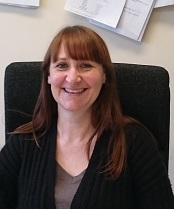 Cheryl is a dedicated family solicitor specialising in divorce and contact relating to children, care proceedings, financial claims and cases involving domestic violence. Throughout her career she has been invited to speak at numerous conferences and training seminars relating to domestic violence issues. She regularly accepts instructions to obtain emergency Injunction Orders for victims and their families relating to Domestic Violence. Many couples face difficult decisions when dealing with divorce or separation. It is essential that clients receive appropriate advice and support throughout the process. Cheryl successfully combines her Family Law expertise with a practical approach. 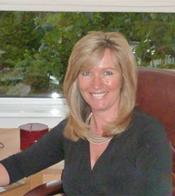 She offers an efficient, reliable and cost effective service in all areas of Family Law. In particular in relation to Divorce she recognises that resolving financial issues and disputes in relation to children can be achieved swiftly and without the need to incur substantial legal costs. Many clients feel daunted by the prospect of consulting a solicitor for the first time, but Cheryl is friendly, sympathetic and approachable. Clients can expect and are entitled to receive straightforward advice and clear guidance from the outset of a case to its conclusion. Free initial consultations are offered to all new clients. For further details please contact Cheryl by telephone or e-mail or alternatively visit our offices at 1st Floor, 58 St Thomas Street, Weymouth. Aileen qualified as a Member of the Institute of Legal Executives in 1989 and then became a Fellow in 1993. She qualified as Charted Advocate in July 2012, and has been appearing in court on a daily basis since then, conducting trials and cases of all sorts. She has experience of dealing with all types of offences including complex and serious frauds. Aileen joined us in April 2016 having practiced earlier in Essex and London. She has extensive experience in all aspects of criminal work, representing clients for every type of offence in both Magistrates court and the Crown court.